Here’s a quick, easy and fun 3D heart that’s perfect for all sorts of valentine activities. Keep it simple and give just the heart, or glue-dot it to the top of a pencil. You can also make a lovely heart bouquet (poke into the top of an upside down Dixie cup). I’ve included little owl valentine cards to go with this craft. Teachers can make the heart paper chain to keep track of how many days are left ’til Valentine’s Day or the end of February! Use three colors to show an ABC-ABC pattern. 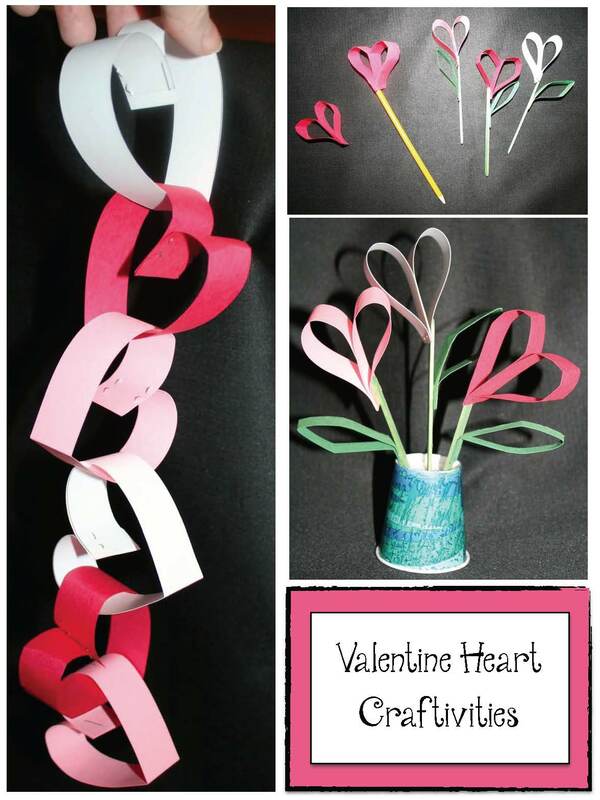 Children can also make their own heart paper chains and write something that they love on each strip of paper, or write down a February-themed word on each one, or write a “Happy Valentine’s Day” message on the links to give to someone. 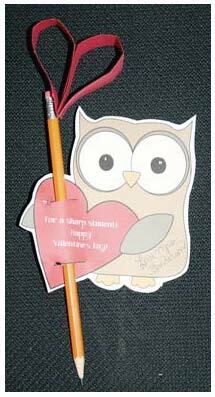 Simply insert the pencil into the slits on the Valentine heart & you’re all set! For a bit more pizzazz, I used a glue dot to top off the pencil with one of the paper hearts. Click on the link to get your Heart Craft packet.